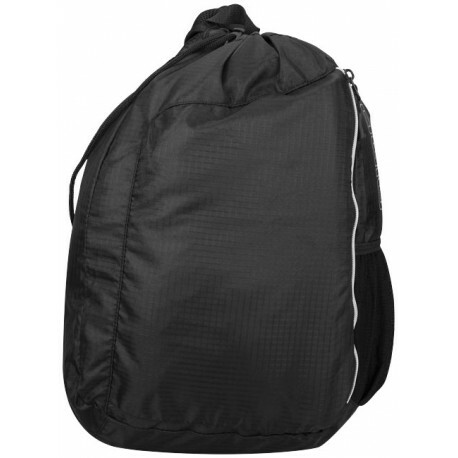 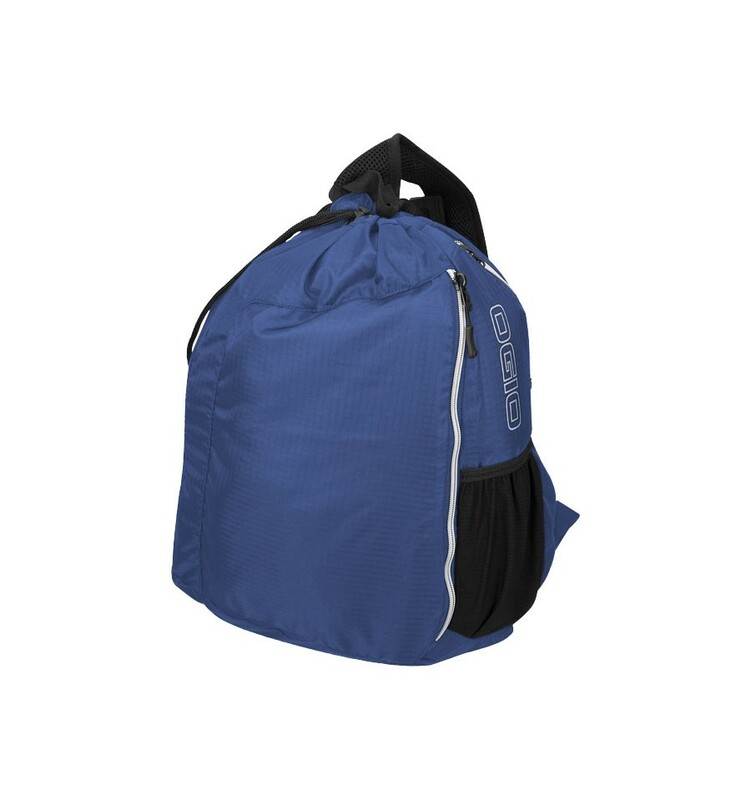 Exclusive design drawstring sling pack with vertical zipped front pocked for easy access. 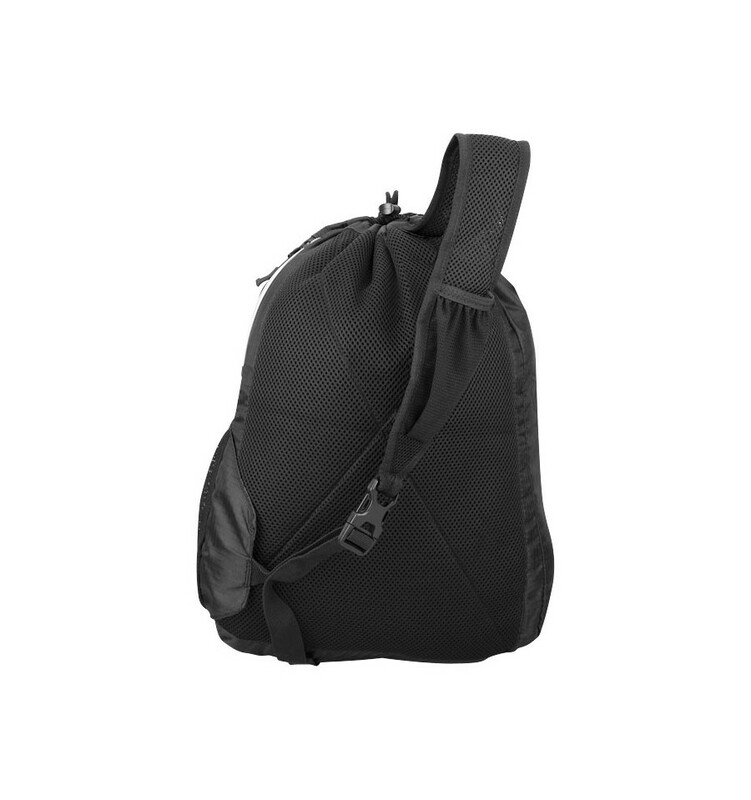 A side zipped valuables pocket and a side beverage pocket of stretch mesh as well as a stretch mesh phone pocket on shoulder strap. Padded mesh back panel and shoulder strap. Adjustable shoulder strap and reinforced top carrying handle. 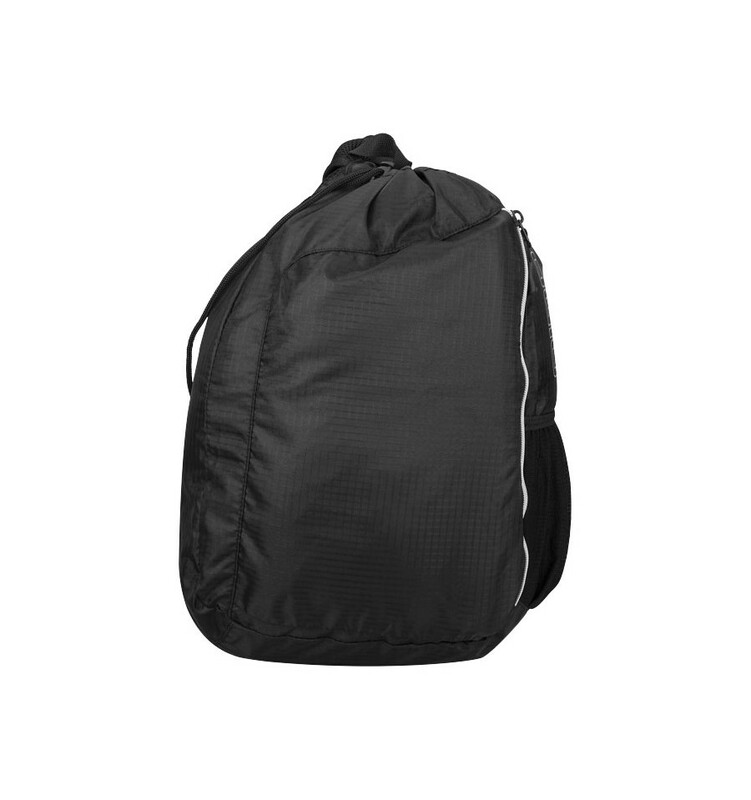 420D Polyester and ripstop polyester.